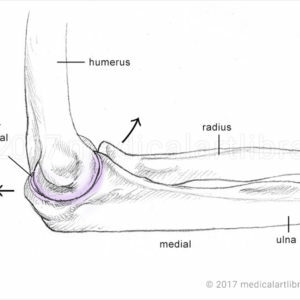 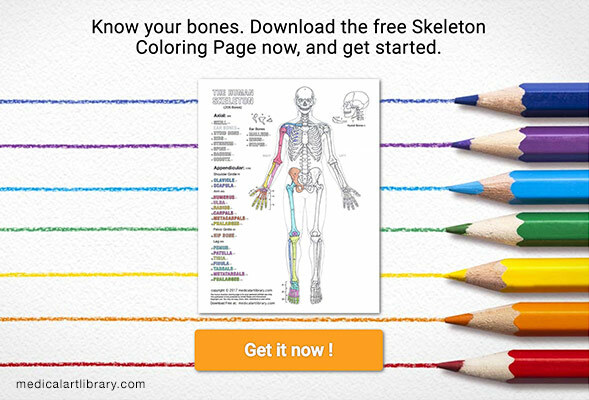 License Image medial view The elbow joint is a hinge joint composed of three bones: the humerus, the radius and the ulna. 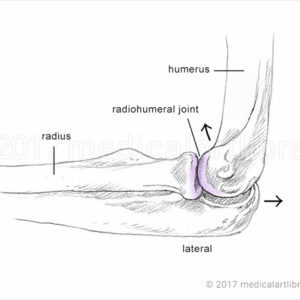 The Humeroulnar joint is the junction of the trochlea of the humerus and the trochlear notch of the ulna. 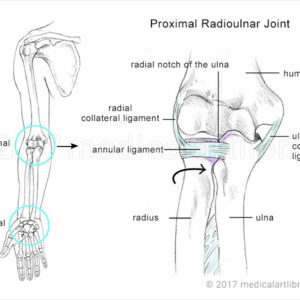 This is the medial view of the elbow joint.